"Oh, Dakuwaqa!" - The Shark comics and cartoons: Said, "Miss Mousey, will you marry me?" uh-huh-uh. Said, "Miss Mousey, will you marry me?" uh-huh-uh. 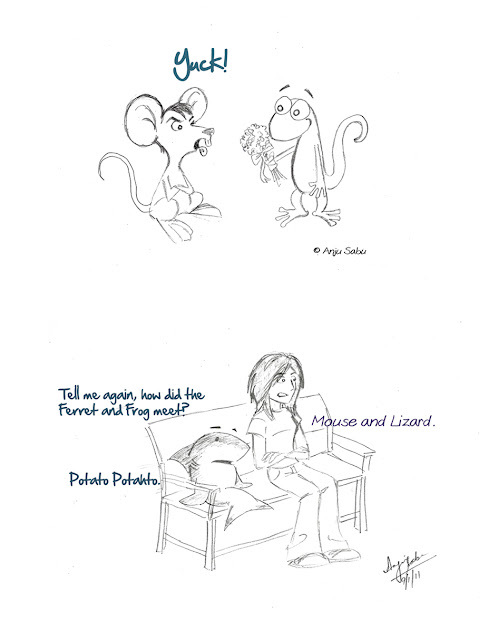 My friend, the mouse, is getting married. To another friend, the lizard. Their courtship pretty much began the way I've shown. Or so they make it seem when it reality it could have been super mushy and romantic. Anyway, I cannot make it for the wedding due to, um, family emergencies and so I hope to make up for it by turning it into a nice fairytale. Congratulations, you guys! I hope you will continue to provide us with entertainment and examples of true love. 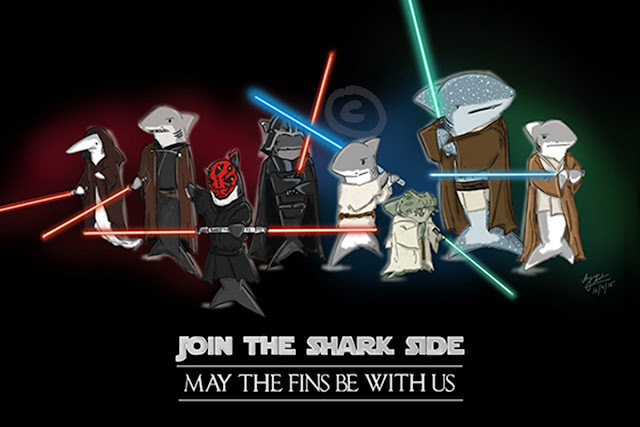 I suppose the second frame should have the shark asking for a bedtime story while getting ready for bed. But the original idea was for them to be discussing the love story during the wedding inside church. I also wanted to add a big tacky heart around the first frame but decided against it.